The Dog: Its Behavior, Nutrition, and Health, 2nd Edition Dogs are a part of nearly 40 percent of United States households. With this in mind, author Linda P. Case has written the definitive textbook on dogs and their care. Completely updated and revised, the second edition of The Dog covers four areas of compelling interest: the bond between dogs and humans, canine behavior, canine health and disease, and canine nutrition. Aiming to enhance the human-dog bond, author Case uses clear, understandable writing to explain selective breeding, training principles, solution to common behavior problems, diet and nutrition, and preventative health care. Case liberally uses distinctive figures and tables, current references plus suggested readings, and a thorough glossary to aid in comprehension. More in-depth that most dog books, The Dog will prove to be an indispensable tool for undergraduate companion animal courses, veterinary technician courses, and dog care/training courses. In addition, it will serve as a valuable resource for professional breeders, trainers, exhibitors, and veterinary clinicians. The Dog: Its Behavior, Nutrition and Health is a comprehensive study of the domestic dog. This book is written for people who are either pursuing or are currently engaged in a profession or avocation that involves dogs. Dog trainers, breeders, kennel owners, veterinary technicians, veterinarians, and other companion animal professionals will find this book to be an indispensable re-source. 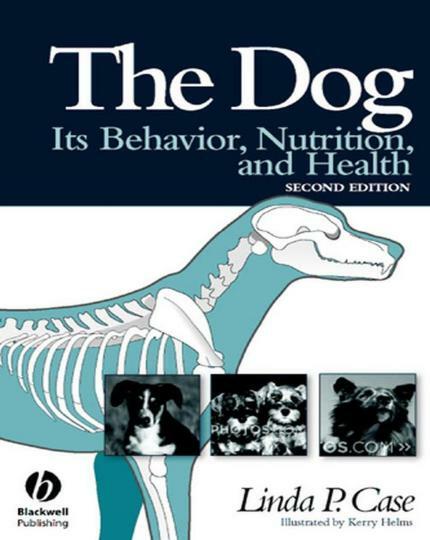 In addition, The Dog: Its Behavior, Nutrition and Health is an essential text for college students who are studying the physiology, care, behavior and nutrition of companion animals. The book is divided into four topical sections. Part 1, Man’s Best Friend: The Animal within the Companion, examines the origin of the relationship between humans and dogs and follows the development of the dog from the first stages of domestication through present day. This section also includes basic information about the dog’s physiology, structure, reproduction, and genetics. The status of the dog today and the importance of proper pet selection and responsible guardianship are discussed in the final chapter of this section. Part 2, Behavior: Communicating with Man’s Best Friend, examines the developmental behavior of the dog from birth to adult-hood. Species-specific behavior patterns are examined, followed by a discussion of breed specific behaviors. Learning process and principles of training are the topic of Chapter 8. Basic tenets of learning are first reviewed, followed by an examination of successful training methodologies. Various training principles are compared and contrasted, and practical examples are provided throughout the chapter. The final chapter in this section identifies several common behavior problems and their solutions. Part 3 concerns Health and Disease: Taking Care and Keeping Fit. Infectious and non-infectious diseases and common internal and external parasitic diseases are included. Types of vaccines, procedures for their use, and new information regarding recommended vaccination schedules are discussed. The final chapter in the section reviews emergency care and first aid procedures that are essential skills for all pet care professionals and dog caretakers. Part 4, Nutrition: Feeding for Health and Longevity, provides an overview of the dog’s nutrient requirements and examines available pet foods and methods of feeding. Detailed instructions for feeding throughout the dog’s life cycle and criteria for the selection of optimal pet foods are included. The final chapter of the book reviews common medical disorders that can be treated or managed through diet.